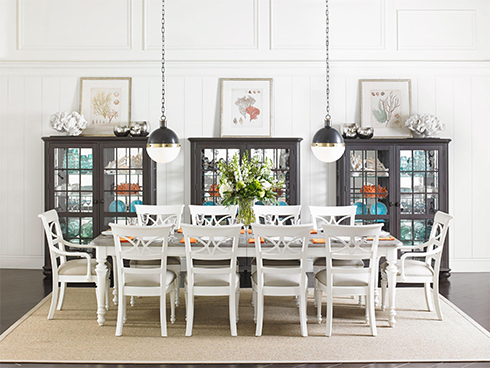 Twentieth century cottage meets 21st century design with Stanley Furniture's new Coastal Living Retreat collection. This collection is filled with classic silhouettes and an exciting new color palette. The details throughout the collection create rich designs that aren't overwhelming. 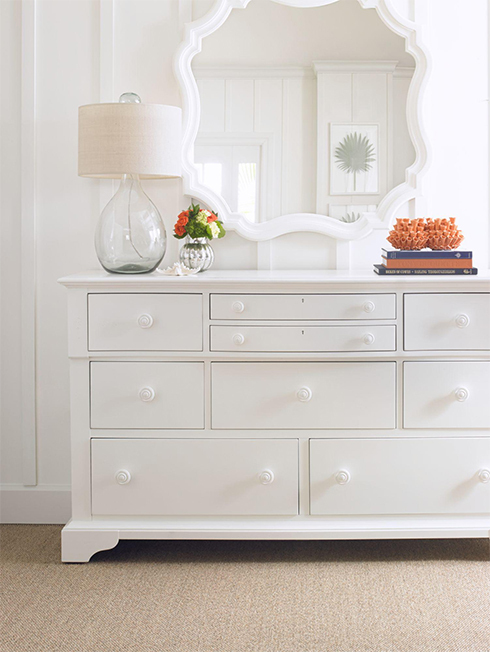 Pieces range from dining room, to occasional, to bedroom, and beyond - it's truly a whole home collection. What makes this collection unique are the rich finish options! Six amazing finishes create pieces that are swoon-worthy. Stanley Furniture's multi-step finishing process ensures that each piece is adequately finished and this detailed workmanship shows in each piece. The attention to details within this collection's designs creates sophisticated pieces that are worthy of any spot in your home. 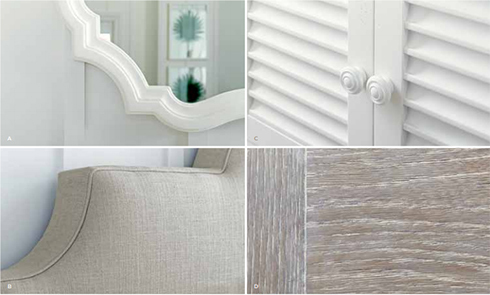 Design elements range from piece to piece, but each item has it's own detail story. 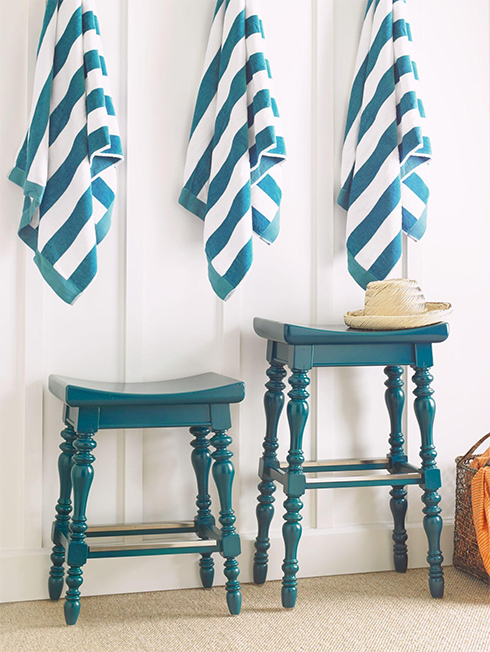 This coastal inspired furniture reflects designs you'd see at the shore, but they are versatile enough to work in the suburbs too! The Coastal Living Retreat collection also features an upholstered bed in your choice of fabric options! This huge interior design trend is showing up everywhere for master bedrooms, kids bedrooms, guestsrooms, and more. The Breach Inlet Bed features soft curves and a beautiful scalloped design. The first fabric option is the Irish White Herringbone, a snug, cream and white herringbone cable pattern. This upholstered bed is available in the Block Island Sand, a heavy gauge washed ecru linen pattern, or the Heron Grey Honeycomb, a pale grey fine gauge linen texture punctuated by contrasting honeycomb-patterned embroidery. 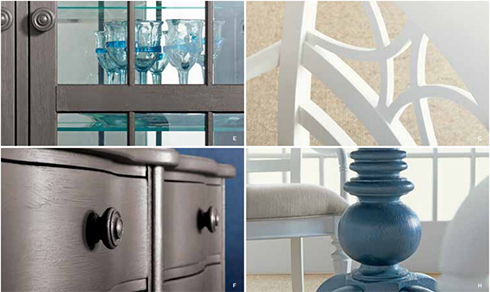 Stanley's luxury furniture collections are designed to easily mix and match pieces to create your own unique home. Beauty is in the eye of the beholder and to create beautiful rooms they have to suit your style and your needs. Choose varying pieces like bright colored furniture or design your room using only one of Stanley's Coastal Living finishes - either way, your room is sure to be well designed. Find more Stanley Furniture and Coastal Living collections and pieces in our Belfort Furniture Showrooms, conveniently located in Dulles, Virginia. Filled with hundreds of room settings, our showrooms are filled with furniture for your entire home. Find ideas, inspiration, and knowledgeable consultants to help guide you through your furniture selection and projects to create beautiful rooms!